The bed I currently have in my house is a hand-me-down from my parents. My mom bought the bed before my parents even started dating. I never used the headboard that came with it because it was oak and didn't (and still doesn't) match my white furniture. So after having the headboard sit in the garage for the last 20 years, I decided I wanted to cover it for my bedroom at my new house. Because my mom bought such a high quality bed, the wood was extremely hard, and getting the upholstery nails in it was a process. But with a little help from my parents we finished it. 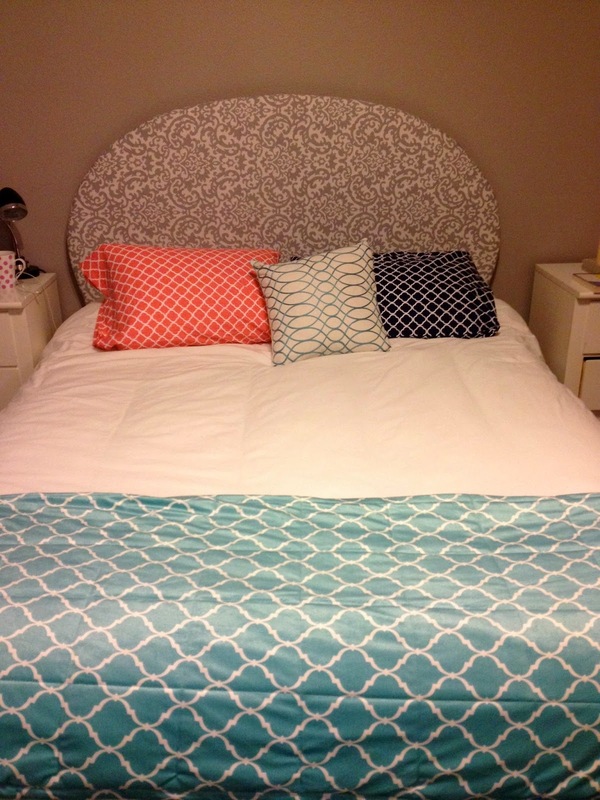 Lay the batting down on a clean floor and place the headboard face down on top of it. 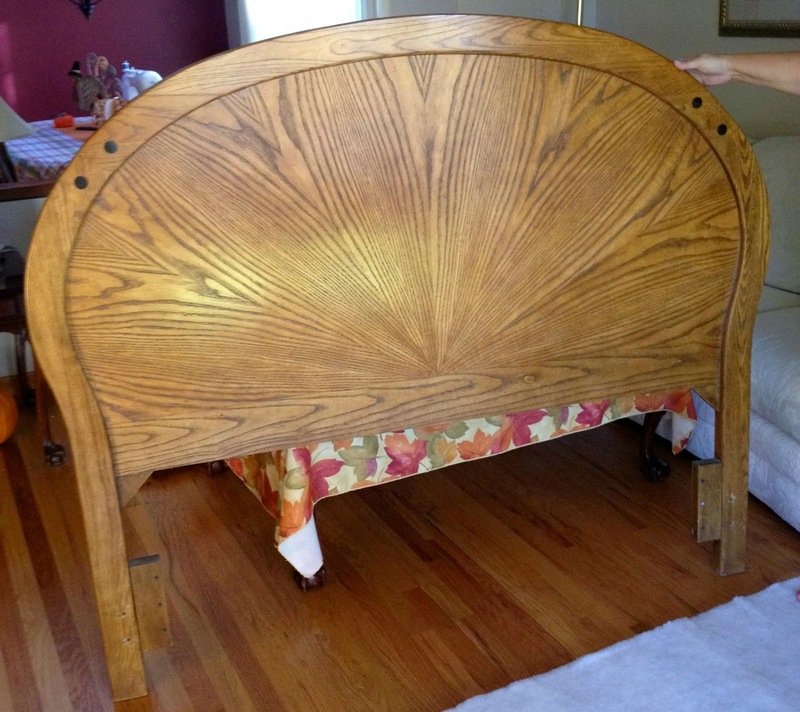 Make sure there is about 5 inches of batting that folds over to the back side of the headboard. Use upholstery nails to nail the batting down at least twice on each side. You won't need many nails because we'll use more after we add the fabric. 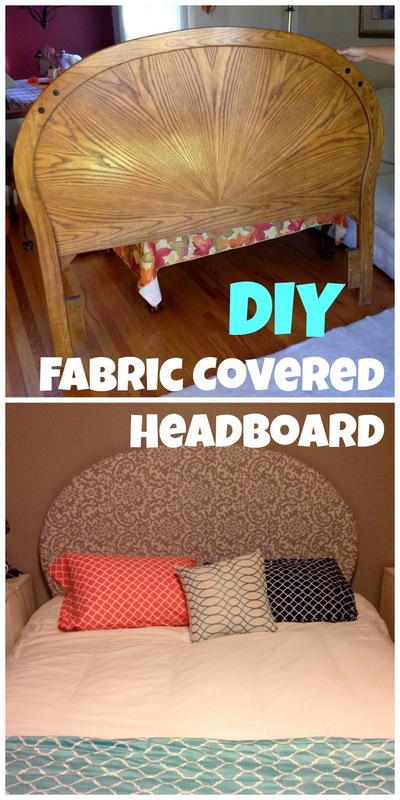 Once the batting is on, pick up the headboard and lay the fabric printed side down on the floor and then the headboard face down on the fabric. Once again make sure there is enough fabric on the back that you can nail it down. Here's where it starts getting tricky. 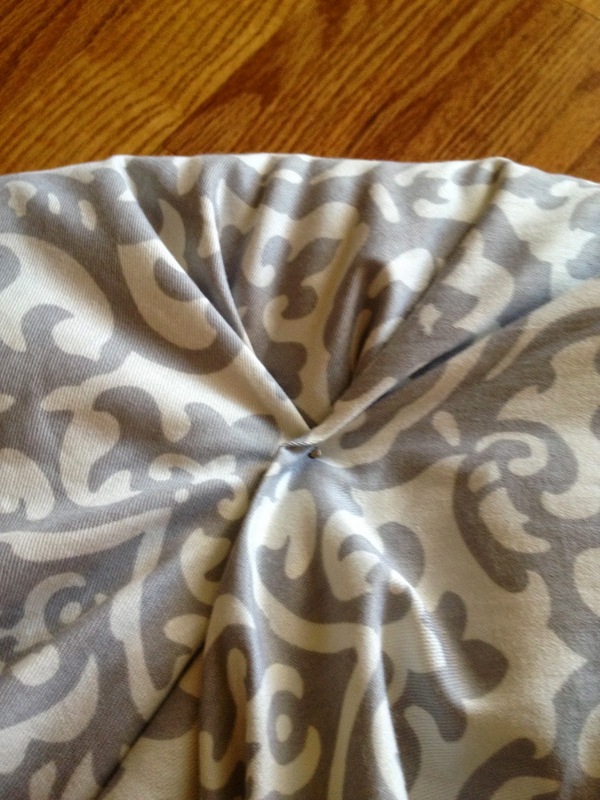 You'll want to make sure the fabric is taut so there aren't any wrinkles. Start by pulling nailing the fabric on the middle top, then nail the fabric down about 5 inches to the left and right of the middle. Follow the same technique from above for the bottom and edges of the headboard. 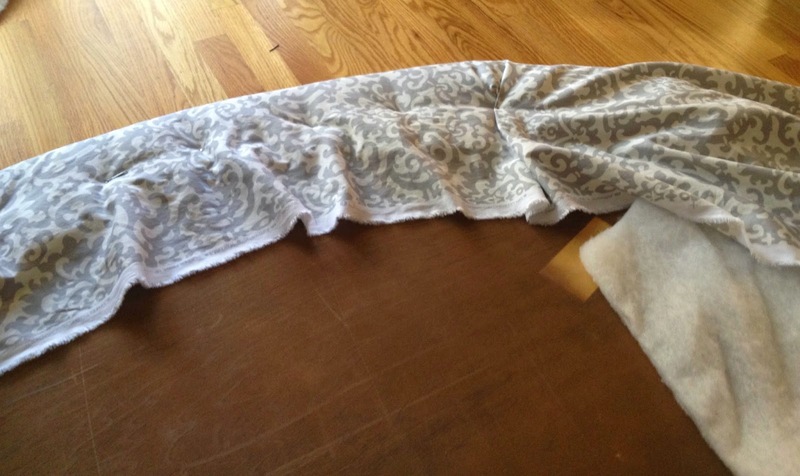 Make sure you pull the fabric tight before nailing the fabric down. Once the edges are all pretty secure pick up the headboard and see what parts need to be pulled back more and nailed again. More nails the better!